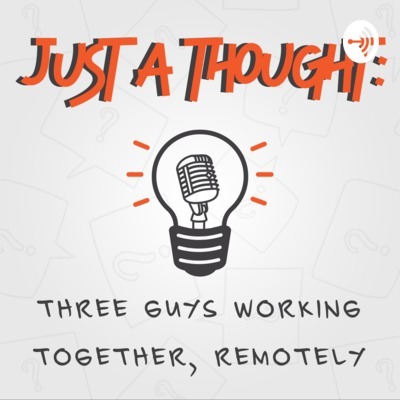 Welcome to Just A Thought, an audio series from three guys that work together, remotely. Working across two continents, Marlon, Daniel, and Tom hop on the mic to discuss topics in Business, Design, Strategy, and Life. Is Tesla a car company? Or is it a tech company? More and more businesses are relying on technology to increase efficiency and deliver optimal products and services. Does your business need to embrace a tech-focus to succeed long term? Does Your Business need a Website or an App? Website? App? Both? Marlon, Daniel, and Tom break down the differences and what you can expect to gain from each on this episode. Thinking about building your new app? Wait just a minute! You might want to check out these books that Marlon, Daniel, and Tom recommend first. Marlon, Daniel, and Tom talk about strategies in hiring a remote team to help you get your app up and running. Everybody's got an idea, but very few can execute on it. From user-testing to monetization, Marlon, Daniel, and Tom cover the important details you haven't considered about your next big idea. On this episode Marlon, Daniel, and Tom discuss their experiences with remote working, what the benefits and challenges are, and how to successfully work remotely. In this episode, Marlon, Daniel, and Tom breakdown the Design Sprint process, and explain why businesses should consider using this practice when they have big ideas to test.